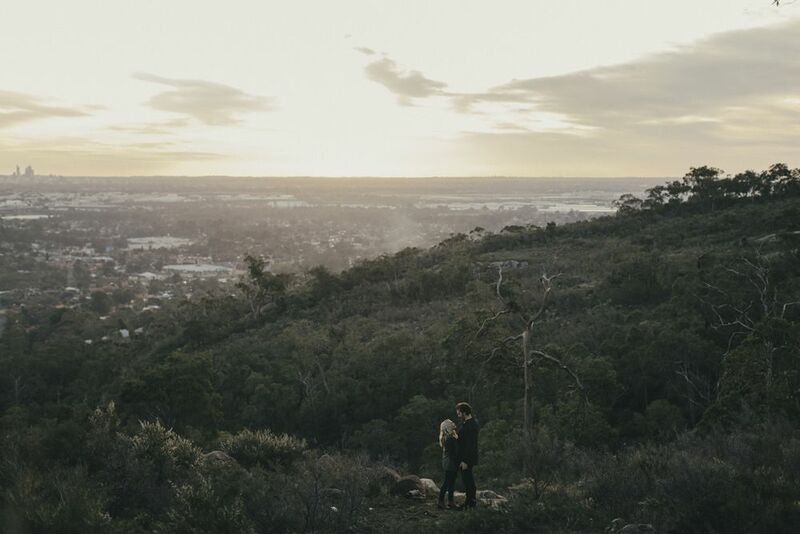 Simone + Ryan ~ Engagement session in the Perth Hills. I had the pleasure of spending a little time with these guys on Sunday. 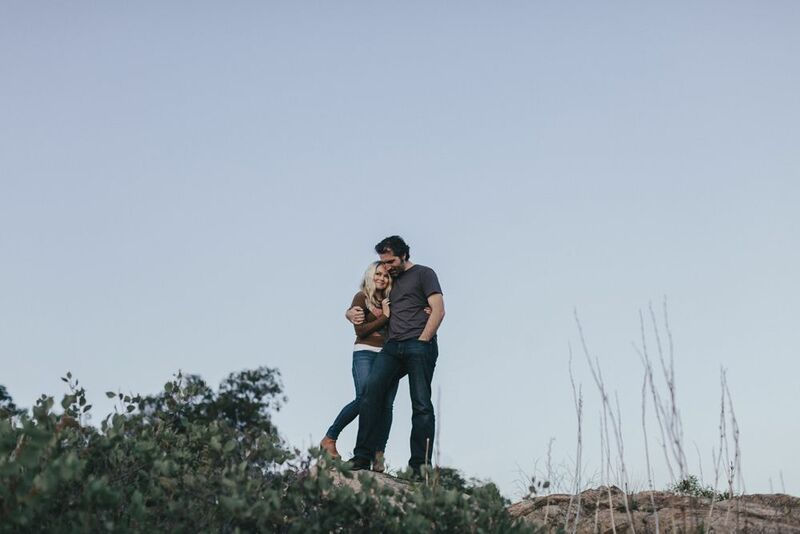 Ryan used to hang out around these parts when he was a little tacker so when I mentioned I was thinking about a location in the hills somewhere it made perfect sense to photograph their pre wedding photos here. Prior to meeting up they had lunch and a cheeky pint at the local pub where they watched the Dockers struggle to make any contest of the game. That loss was easily made up by perfect conditions laid on for us that evening, it was so still, so quiet and not an ounce of wind...we had the hill all to ourselves. 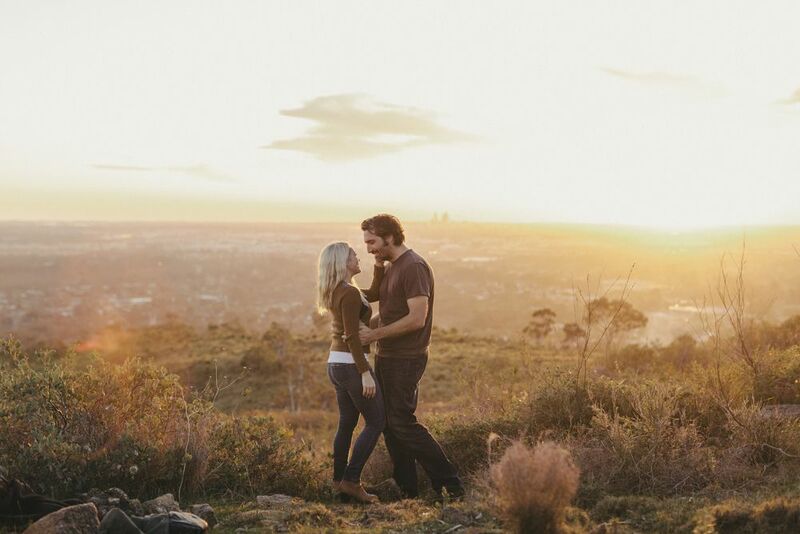 Here's just a sample of images from that shoot with Simone and Ryan.